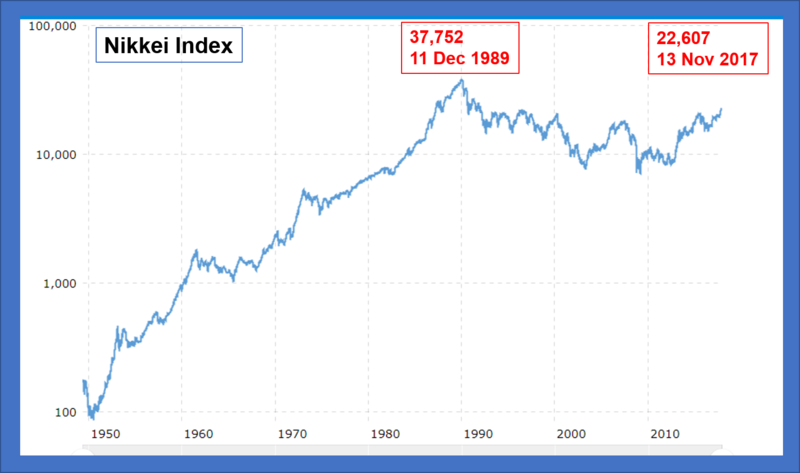 Posted in Economics, Japan | Comments Off on Japan coming out of the doldrums? 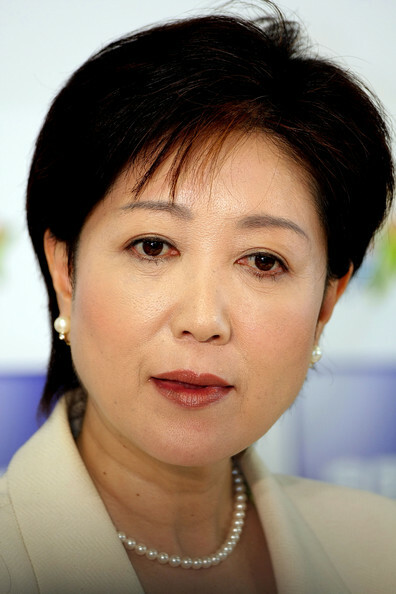 Will Yuriko Koike crack Tokyo’s glass ceiling? If Yuriko Koike can win today’s election to be Tokyo’s governor , it will be a far more significant event in cracking the glass ceiling in Japan’s male-dominated, endemically misogynistic political system, than Hillary Clinton’s achievement in being the first woman to be nominated for President by a major party. The polls have been vaguely – if ambiguously – encouraging for Koike, but she has been subject to much vilification from the establishment candidate. She has been a member of parliament since 1993 for the LDP and even stood for leadership of the LDP in 2008. She served as Environment Minister and as Minister for Okinawa in Jun’ichirō Koizumi’s government. She even served as Defense Minister in Shinzo Abe’s government but resigned after 2 months due to an internal fight within the LDP. In the Tokyo gubernatorial elections she is standing as an independent – which has not pleased the LDP. She is one of 21 contenders but the three leading contenders are former Defence Minister Yuriko Koike, politician Hiroya Masuda and journalist Shuntaro Torigoe. BBC:…. Sunday’s election was called after previous governor Yoichi Masuzoe resigned last month. He faced fierce criticism over allegations he used official funds to pay for holidays, art and comic books for his children. Mr Masuzoe, who won election promising a scandal-free administration, denied breaking the law, but admitted to ethical lapses around his lavish spending. His predecessor, Naoki Inose also quit over a funding scandal in 2013, soon after Tokyo won the right to host the Olympics. Since then Tokyo’s preparations for the 2020 Summer Olympics have been hit by scandals, overspending, administrative fumbles and construction delays. One of the new governor’s first duties will be to travel to Rio at the end of the 2016 Olympics in August to accept the Olympic flag as the next host. Masuda, also 64 and backed by the ruling coalition — which spurned Koike for not seeking its approval before announcing her candidacy — is a veteran administrator who won plaudits as governor of Iwate for 12 years until 2007. Also in the running is 76-year-old Torigoe, a liberal journalist widely known for his ubiquitous TV appearances and also as a cancer survivor. The winner’s term will run until just after the games commence, and how the new governor handles the run-up will be closely watched. A key challenge will be getting a grip on swelling costs, seen as possibly double or triple the reported original forecast of ¥730 billion ($6.92 billion). Counting begins at 8pm local time which is in a few hours from now. Posted in Japan, Politics | Comments Off on Will Yuriko Koike crack Tokyo’s glass ceiling? Now that the Paris Climate Agreement is out of the way (having actually achieved nothing while seeming to have solved everything), sensible countries that wish to implement their plans to utilise coal can do so without being castigated for it (since Paris has now solved everything). The non-sensible and sanctimonious countries – and Sweden leads all the rest – can refrain from using coal and other fossil fuels to their own self-inflicted disadvantage. The real winners from the Paris Agreement are, of course, India and China. By using carbon emissions per unit of GDP as the measure, India has ensured that it can treble its coal consumption by 2030 (while GDP increases by a factor of 4) and still show a 30% decrease in emissions/GDP. Similarly China can double its coal consumption by 2030 while GDP increases by a factor of 2.65 and still show a 20% reduction in carbon emissions (based on my calculation from the Indian and Chinese INDC submissions for the Paris conference). The 2012 global coal consumption (IEA report) was about 8.186 billion short tons of which China consumed 3.887 billion short tons and India consumed 0.745 billion short tons. By 2030, India alone would consume 2.235 billion short tons and still meet their Paris obligations. Similarly China would consume about 7.774 billion short tons and still meet their Paris promises. Effectively the Paris Climate Agreement sanctions that coal consumption in India and China alone will be about 10 billion short tons and exceed today’s global consumption. The global coal consumption in 2030 will then be above 14 billion short tons which is about 70% higher than the 2012 global consumption. A decision by Japan’s environment ministry to abandon its opposition to building new coal-fired power stations casts doubt on the industry’s ability to meet targets to cut greenhouse gas emissions, experts and environmental activists said …..
As Japan gets ready to open up its power retail market in April, companies are rushing to build 43 coal-fired plants or 20.5 gigawatt of capacity in coming years, about a 50 percent increase. ……. Coal is attractive because it is the cheapest fossil fuel source and prices have slumped in recent years. Japan has turned to the energy source in record amounts since the Fukushima disaster in 2011 led to the shutdown of reactors. A group of 36 power companies, which supply 99 percent of the country’s electricity, have also formed a new body to take measures to trim emissions and meet the industry’s voluntary goal to cut emissions by 35 percent in 2030, compared with 2013. The Paris Agreement has ensured that all those who wish to use coal can continue to do so. The Wall Street Journal reports on Japan’s return to coal fired power generation following the alarmist – and inaccurate – demonisation of nuclear power after the 2011 Tōhoku earthquake and tsunami which caused the Fukushima nuclear plant meltdowns. And it is still worth remembering that while the earthquake and tsunami claimed more than 18,000 lives, the Fukushima plant incident has caused no direct fatalities. The reality is that the cost of electricity production in a 2011 government estimate put the “cost of coal power in Japan at ¥7.5, or about 6 cents, per kilowatt-hour including construction and operation. The same report put the cost of nuclear power at ¥9 per kwh, gas power at ¥10 per kwh and oil power at ¥19 per kwh”. Seven new large coal plants with a total capacity of 7,260 MW have already been announced and are planned to be commissioned until 2025. And a further 6,000 MW are being currently tendered for. The same cost structure prevails in India or China or Indonesia or South Africa. Even in Europe without artificial (and pointless) skewing of the market place, meaningless carbon taxes and subsidies for renewable power which are not commercially viable, coal offers the lowest cost of electricity production. The same cost structure would apply also in Australia. In the US coal is only second to gas. WSJ: Japan is continuing to re-embrace coal to make up for its lack of nuclear energy, with plans for another power station released Thursday bringing the number of new coal-fired plants announced this year to seven. ………. Kansai Electric Power Co. and Marubeni Corp. informed Akita prefecture on Thursday of their plans to build a new, 1.3-gigawatt coal-fired power station in the northern prefecture of Japan, the two companies said. If all seven projects including the plant in Akita materialize, they will increase the nation’s coal-power generation by up to 7.26 gigawatts by around 2025. That is equivalent to seven medium-size nuclear reactors. ……. Kansai Electric, based in Osaka, plans to use the Akita project to supply electricity to customers in Tokyo, the only place in Japan where major growth in power demand is expected, a company spokesman said. The other projects include Chubu Electric Power Co.’s plan to replace an old oil-power station near Nagoya with a 1 gigawatt coal-power station, and a 1.2 gigawatt coal-power station planned byElectric Power Development Co., Osaka Gas Co. and Ube IndustriesLtd. in Yamaguchi prefecture in western Japan. The relative cheapness of coal was indicated in a 2011 government report that estimated the cost of coal power in Japan at ¥7.5, or about 6 cents, per kilowatt-hour including construction and operation. The same report put the cost of nuclear power at ¥9 per kwh, gas power at ¥10 per kwh and oil power at ¥19 per kwh. ……… All of Japan’s 48 reactors are offline over safety concerns following the Fukushima nuclear accident, though four of them are expected to come back online later this year. Gas from methane hydrates within a decade? Gas production from the hydraulic fracturing (fracking) of shale is already well established (even booming) in the US. Huge amounts of gas and oil bearing shale (as much as all known reserves of natural gas) around the rest of the world are yet to be exploited. 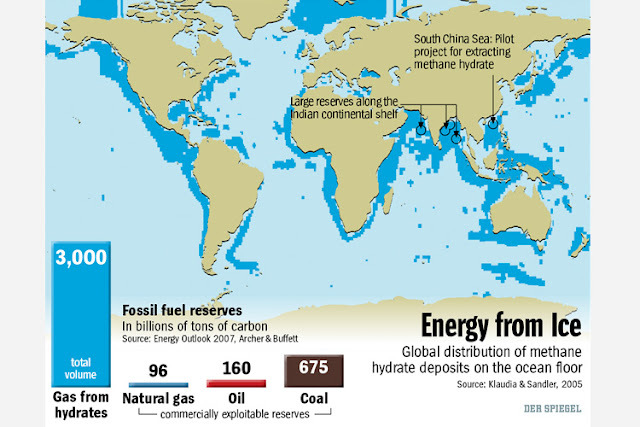 But the methane hydrates on the sea beds dwarf all the known fossil fuel reserves put together. The sheer abundance of methane hydrates around the globe and the thought that much of this gas could soon be economically extractable is almost intoxicating for those involved. “The worldwide amounts of carbon bound in gas hydrates is conservatively estimated to total twice the amount of carbon to be found in all known fossil fuels on Earth”. Methane hydrate deposits are so widespread around the world’s coastlines that cartel formation will be almost impossible. The technology for extraction however could become a very hot property. The Japanese – who don’t have any shale but do have access to methane hydrate deposits – have been leading the charge for extraction of gas from methane hydrates and tests have been promising. The US and India and China are also active but the Japanese are probably closest to commercial production. Now 11 Japanese companies have formed a consortium to exploit the resource and conduct larger production tests following the successful extraction test carried out by the Japanese government in 2012. Japan could have commercial quantities of methane hydrate gas flowing within a decade. A group of 11 Japanese companies have formed a joint venture to conduct production tests of offshore methane hydrates – an unconventional resource seen as a potential game changer for the world’s largest LNG importer. Led by Japan Petroleum Exploration (Japex) and starting with a capital contribution of ¥300 million ($2.8 million), Japan Methane Hydrate Operating Co. (JMH) will provide contractor services and carry out field operations during the medium- and long-term production tests sponsored by the government. The JV partners will each share their expertise and technology to support the exploration and testing, JMH said in its first press release on Wednesday. “A substantial quantity of methane hydrate is estimated to be in the offshore areas around Japan. Serving as a new domestic energy source, with the potential to make a major contribution to a stable national energy supply for Japan, technological development is necessary for its commercialisation, including the establishment of production technologies,” the company said. The Japanese government successfully produced the world’s first methane hydrates in March 2012, after drilling an experimental well in the offshore Nankai Trough and carrying out a production test that exceeded expectations (see Japan flows hydrates in landmark offshore test, 12 March 2013). That was followed two months later by a steady flow of gas from methane hydrates in Alaska’s North Slope, which a partnership between the United States Department of Energy (DOE), ConocoPhillips and Japan’s state-run JOGMEC called a “successful, unprecedented test of technology”. ……. The government has said it expects to develop the technology needed to produce gas from methane hydrates by about 2018, although it remains to be proven whether the resource will be commercial (see Methane hydrates seen as the next big unconventional gas, 22 April 2013). The JMH JV includes Japex (operator, 33%), Japan Drilling Co. (18%), Inpex (13%), Idemitsu Oil & Gas (5%), JX Nippon Oil & Gas Exploration (5%), Nippon Steel & Sumikin Engineering Co. (5%), Chiyoda Corp. (5%), Toyo Engineering Corp. (5%), JGC Corp. (5%), Mitsui Oil Exploration (5%) and Mitsubishi Gas Chemical Co. (1%). With new natural gas reserves being found in the Arctic and with all the shale gas yet to be extracted and, now, with the vast amount of methane hydrates available, “peak gas” is at least 1,000 years away. 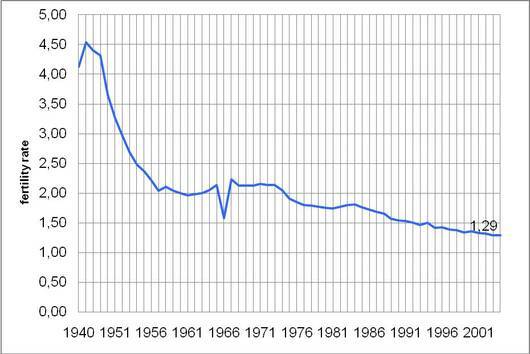 Posted in Energy, Gas, Japan | Comments Off on Gas from methane hydrates within a decade? 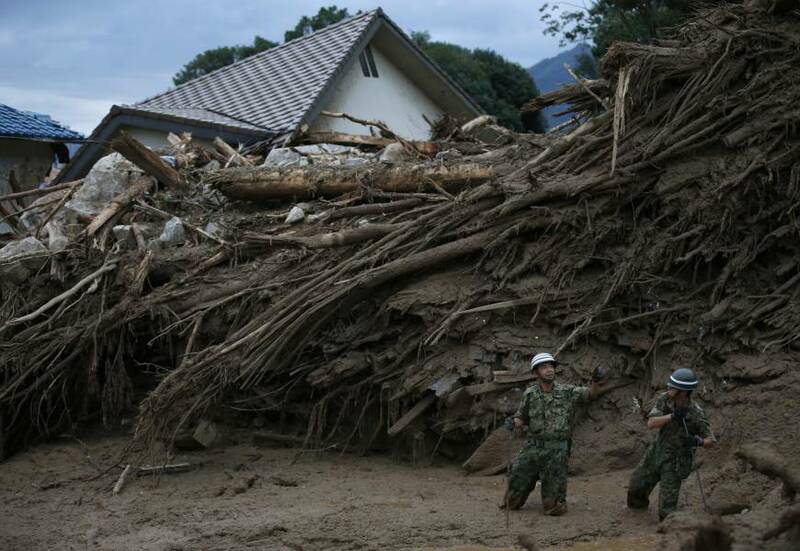 Heavy rain has caused landslides in Hiroshima prefecture in Japan killing at least 39 people including some children with at least a further seven missing. The landslides and flooding triggered by torrential rain overnight Wednesday that engulfed residential areas in Hiroshima so far have left 39 people confirmed dead and seven remained missing, and more Self-Defense Forces personnel have been sent in to join the search and rescue effort. The government boosted the number of SDF personnel deployed for rescue operations to 600 to continue operations through the night. Prime Minister Shinzo Abe, who was taking his summer vacation, cut short a game of golf to return to his office in Tokyo to deal with the disaster. In Asakita Ward, Hiroshima, one of the hardest-hit areas, a record 217.5 mm of rain fell in the three hours from 1:30 a.m. Wednesday. The city of Hiroshima started issuing evacuation advisories at 4:15 a.m., but an official admitted the action was late. Japan is perhaps more susceptible to natural disasters than many other parts of the world. Thoughts turn immediately to the 2011 Great Tohoku Earthquake and Tsunami. As of February this year the earthquake and tsunami had claimed 15,889 lives with another 2,609 people unaccounted for and presumed dead. A total of 18,498 deaths. Even though the nuclear plant at Fukushima actually survived the earthquake but could not cope with the tsunami, it is the incident at the Fukushima nuclear plant which still gets all the headlines and lives on in the collective memory. The 18,498 deaths caused by the earthquake and tsunami are somehow pushed aside by the fears engendered by Fukushima. There was considerable radiation leakage but not a single person was killed at Fukushima. Fears outweigh reality. The Fukushima Dai-Ichi nuclear accident which followed the Great Tohoku Earthquake and Tsunami of 2011, was about the worst accident that could have happened in a nuclear plant. Hydrogen explosions occurred in the outer containment casings of 2 of the 6 reactors and meltdown of 2 of the cores also took place. A nuclear plant is not a nuclear bomb and a chain reaction leading to an explosion is not a real possibility. It is meltdown of the cores which is the bottom line. No radiation-related deaths or acute effects have been observed among nearly 25,000 workers (including TEPCO employees and contractors) involved at the accident site. It was the earthquake and tsunami which did the damage, caused some 18,000 deaths and which led to the nuclear accident. 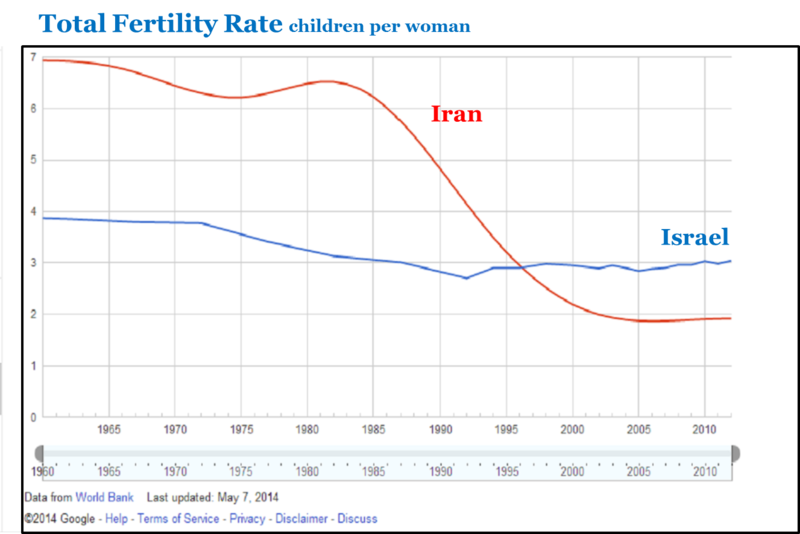 But radiation from the nuclear accident has caused no deaths. And the radiation will cause no deaths. Why – in terms of media response, knee-jerk government responses and general hysteria – does the awful reality of the earthquake and tsunami get dwarfed and swamped by alarmist but unreal fears? It is as if the nuclear incident had caused the earthquake and tsunami rather than the other way around. It cannot just be due to a fatalistic acceptance of natural catastrophes. Even with man-made – and therefore presumably avoidable – events, we seem able, after it has happened, to put even genocide and brutality and several thousands killed to one side and move on. Unless there is a personal connection to the disaster we just file it in our minds in the “Disasters” folder and carry on. Perhaps it is human imagination at work. As long as a risk is unrealised the potential damage is unlimited and we are free to – and we do – imagine the most unimaginable catastrophes. Once a risk materialises then – no matter how large the disaster – it is finite and capped. The fear of even an infinitesimal probability of an infinite risk seems to weigh more heavily in the human consciousness than the most awful – but finite – disaster that has occurred. Which insurance companies are very thankful for. A return to coal as reality bites. It is now a “good thing” to help Eastern Europe to shift from Russian gas to their own coal. Perhaps it is beginning to sink in that while carbon dioxide emissions have increased substantially in the last 20 years there has been no impact on global temperature. There is just no direct evidence that man-made carbon dioxide emissions have any significant impact on global temperature or on climate. The entire edifice of climate politics is built on this one unproven – and now broken – assumption. Take away this single assumption and all of climate politics collapses in a sorry heap. The government plans to support Ukraine and other Eastern European nations in the construction of next-generation coal-fired power plants that can generate power with less fuel, according to informed sources. Under the initiative, Japan would stand behind the nations’ efforts to use coal—abundant in Eastern Europe—instead of natural gas, the supply of which makes them dependent on Russia. The government is expected to announce the initiative at the meeting of energy ministers from Japan and other Group of Seven industrialized nations to be held in Rome from May 5. Japan’s support will involve the construction of coal-fired power plants using technologies known as supercritical steam pressure and ultra supercritical pressure to spin the turbines, enabling these nations to obtain electricity while using less fuel and emitting less carbon dioxide. With a power generation efficiency of 40 percent to 43 percent, Japan has the world’s most advanced technologies in this field. About one-fourth of the coal-fired power plants in the nation use these technologies. In comparison, Germany has a power generation efficiency of about 38 percent, while the corresponding figures for Ukraine and other Eastern European nations apparently remain at the 30 percent levels. If an agreement is reached with Ukraine, Japan will support a feasibility study to rebuild power plants during the current fiscal year. Under the initiative, Japan will provide yen loans to cover several tens of billions of yen in construction costs in addition to its energy-saving technologies, while Ukraine will provide emission quotas for greenhouse gases to Japan under their bilateral framework. The G-7 meeting of energy ministers will discuss policies to raise the energy self-sufficiency rates of Ukraine and other European nations, as well as diversifying their energy supplies with one goal in mind: lowering their dependency on natural gas and oil from Russia. Ukraine imports 60 percent of the natural gas it uses from Russia, while the three Baltic nations and Eastern European nations buy from 60 percent to 100 percent of their natural gas from that country—a situation that makes it difficult to shift away from their reliance on Russia. Though they have a dearth of natural gas, Eastern European nations have rich reserves of coal, with Ukraine being almost self-sufficient in that resource. Introduction of the next-generation coal-fired power plants is likely to improve their energy self-sufficiency rates, the sources said. Japan’s Yasukuni problem is inseparable from the fact that nationalism is the dominant ideology of our era. …… In the postwar, with Japan at peace and occupied by US forces, the shrine has played a role in structuring how the war is remembered and presented to the Japanese people. It did so within a framework crafted by the occupation authorities who exonerated the emperor of all responsibility for initiating or waging war. ….. Not only would the emperor not be deposed or tried as a war criminal, he would be shielded even from testifying at the Tokyo Trial. The verdict at Tokyo, sentencing Tojo and a small number of prominent military and government officials to death, as well as the convictions of thousands of soldiers and police officials tried in B and C class tribunals, in leaving untouched Japan’s supreme wartime leader, essentially absolved the Japanese people of the responsibility to examine their own behavior in the era of colonialism and war. For these reasons, the US as well as Japan ultimately shares responsibility for resolving issues of war responsibility that it helped to create, including those associated with the emperor and with Yasukuni Shrine. Just a month ago the Prime Minister Shinzo Abe visited the Yasakuni Shrine to honour the convicted war criminals enshrined there. BBC: Whatever Shinzo Abe says, any visit to the Yasakuni shrine by a Japanese prime minister is deeply political and sure to cause offence. In the 1960s and 70s, the spirits of scores of convicted Japanese war criminals were “enshrined” there. The most controversial were the 14 “Class A” war criminals, including wartime leader Hideki Tojo, who were “enshrined” in the late 1970s. 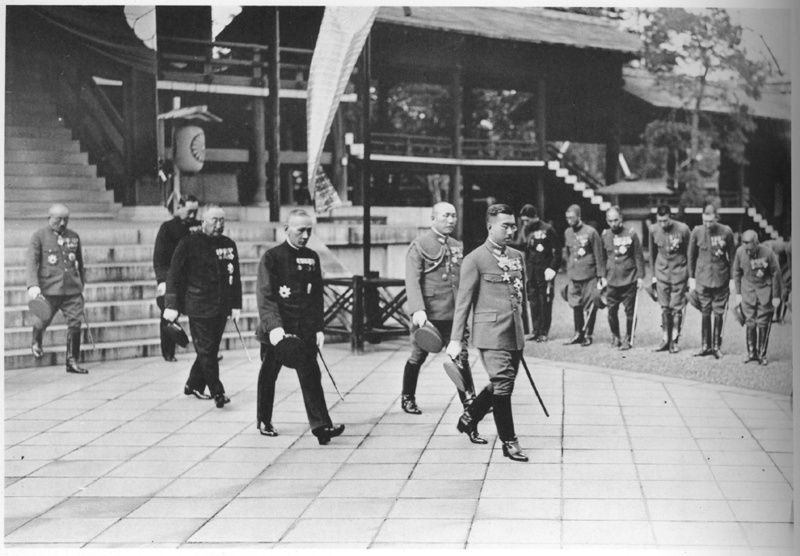 These men were the ones who ordered and oversaw Japan’s brutal war in China and South East Asia. …..
…… Close observers of the Japanese prime minister say he is at heart a nationalist and a historical revisionist. He believes the trials that convicted Japan’s wartime leaders were “victors’ justice”. His own grandfather Nobusuke Kishi served in the war cabinet and was arrested by the Americans on suspicion of being a Class A war criminal. He was later released without charge. School text books are now beginning to downplay or remain silent about Japanese atrocities (not that they have ever been fully accepting of their occurrence or of Japanese responsibility). Now this revisionism is spreading to the national broadcaster NHK and again with some support from the government. …. Chief Cabinet Secretary Yoshihide Suga justified the right-wing novelist’s statements, saying that he is entitled to his opinions. Speaking to the press, he said that he is aware of the reports “but has learnt (expressing personal views) doesn’t violate the Broadcast Law.” Fears of the broadcasting firm molding into PM Abe’s nationalist policy are starting to circulate with Hyakuta’s comments following new chief Katsuto Momii’s statements last month about the use of “comfort women,” or sexual slaves, being a normal practice during wartime, with many other nations doing the same. Jan 31, 2014:The already embattled new chief of NHK is set to face a Diet committee today on claims that his comments about the “comfort women” system of World War II can be considered “political interferance.” ……. Katsuto Momii will be grilled by the Parliament over his statement during his first press conference as the new chairman. He said that the use of sexual slaves, or comfort women, during times of war was also being practiced by other countries like France, Germany, and the United States, among others. While he has already apologized for his comments, saying they were his personal beliefs and not that of NHK, the international furor over it has not abated. …. 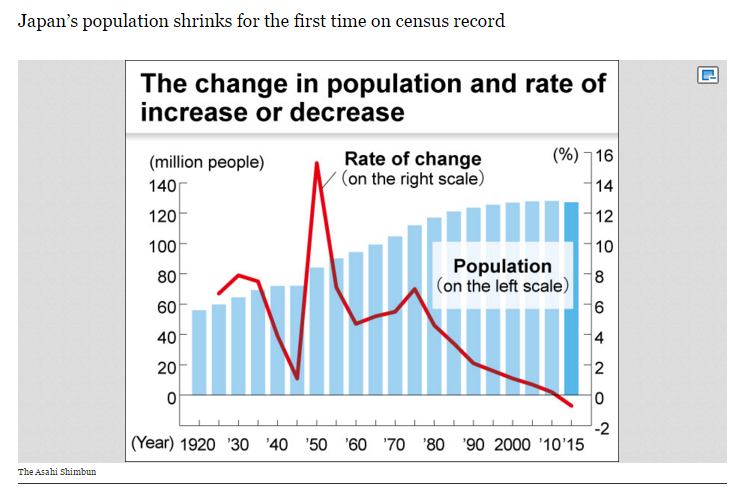 Certainly there is a growing concern about growing Chinese might in South East Asia and this concern is partially shared in the US. So the US, while disapproving of the revisionist trends in Japanese government circles, has been fairly mild in its criticism as long as the Japanese target is China. In the territorial disputes between Japan and China for example the US generally supports the Japanese positions. I perceive a risk that as the Japanese commercial predominance weakens there could be an upsurge in the militaristic ambitions of the nationalistic right. It is only my perception of course but having lived in Japan and in Germany, I sense a greater risk of sudden chaos with the Japanese militaristic nationalists than with the German neo-Nazis. The manner is which the rest of Europe acts as a check and balance against extremism is something missing in Japan.